It’s been a number of months since your donation was made. 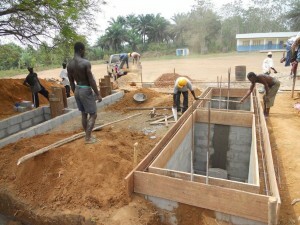 And at that time, we let you know a project was soon to be getting underway in Sierra Leone. As you may have noticed, some of those project’s “completion dates” have come and gone. Frankly, we expected to be quite a bit farther along than we are on these water projects. We’re disappointed that there have been delays and we want to share with you the reasons behind them. At The Water Project, we work hard to be transparent – open – about everything we do. We’re glad our partners are too. Our friends on the ground in Sierra Leone have been incredibly helpful in sharing all the facts with us. This past week they gave us a very detailed update about our shared work. Because of everyone’s commitment to “get it right”, even with the delays, we’re more confident than ever that these will prove to be excellent water projects. Each will benefit a great number of people – for a very long time. Let’s catch up…and see where we’re headed. Things are happening. Currently, TWP and our partner are working on 11 Full WaSH projects at schools (well rehabs and new sanitation facilities) and 15 well-only rehabilitations. Work is underway simultaneously at various sites and there’s a lot of action on the ground. We’ve just updated a number of project reports to reflect those efforts. We’ve asked our partner to provide this type of information “as it happens” and they are working to improve on that communication. Some of the “delay” has been slow communication. To see if updates have been posted to your project, search using your email address here >>. But what’s the real hold up? Usually, a well rehabilitation goes quickly. If fact, we had originally figured that all 26 projects would have at least the water portion of the project flowing by about June of this year. This was based on our past experience in the area. Until recently, a “rehab” generally meant some new hardware, like pumps and seals, was all the work needed. …and the wells dried up. It is now apparent that much more than new hardware will be needed. Digging by hand is hard and dangerous work. So, we’re simply not going to be fixing as many wells as we thought this year. But that’s ok. 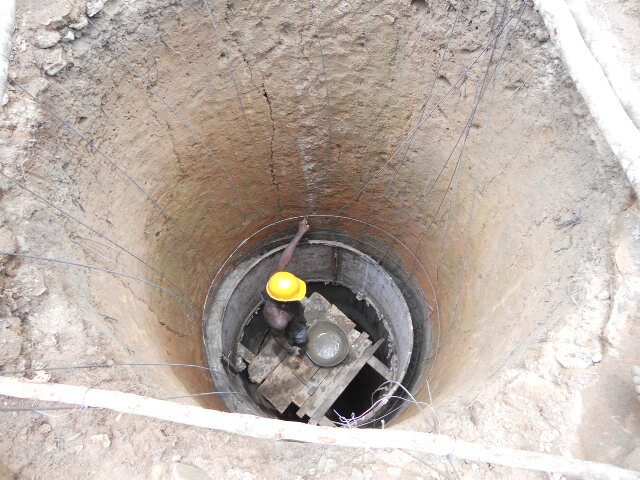 The most important measure of our work is not how many wells we can dig or fix – or how fast we can do it. What matters most, is that these communities gain access to clean water for the long-term. To get it right, we need to take our time. It would be easier, and it would look great on our website to ignore the drying wells and simply say “We fixed 26 wells in a month!”. It would make a great headline. But if and when those wells would have run dry, what would have been solved? We believe that you chose to join us in this work because we’re committed to doing it right and making it last. And we’re thankful for your support and your patience as we do just that. There’s no getting around the extra time and effort it will take to dig these wells deeper. The delays will take a toll on our ability to finish them in the time we originally promised. In fact, our partner is now estimating that four of the Full WaSH projects likely won’t even begin until 2012. We don’t like to have funding just sit around waiting. One of TWPs most important functions is to help our various partners balance their funding so they’re always working – all while getting funds into the field responsibly and quickly. We’re going to reallocate funds from the four projects that are “waiting” to other ready-to-go water projects in Rwanda. These well projects are also desperately needed. By doing so, we’ll get the funds to work sooner and communities there will benefit in just a few months (the time needed for construction and community development). To see if your project is being reallocated, search using your email address here >>. We won’t leave the waiting communities behind though. We’ll continue to raise money for these delayed projects so they will still get done. And if you’d rather keep your donation in Sierra Leone and wait with us, please let us know. We’ll make that happen. It’s disappointing that these projects are delayed, but not because we all have to wait to see results, as much as that stinks. Rather, it’s disappointing because we’re reminded yet again how hard this work really is. We all want to find a simple, fast, repeatable solution. We want a quick fix. But there isn’t one. So many things can and do go wrong. New obstacles pop up all the time. And providing clean, safe water to those in need takes more willing hands and feet – and the training to use them – then we have. Today, there just aren’t enough folks in the toughest places to work, like Sierra Leone and Rwanda. One of reasons we do what we do at The Water Project is to keep funds flowing to our partners so they can concentrate on training and equipping more hands – without the worry of funding their work. Our role is to encourage and enable them to train more teams and equip more communities so the water crisis can be solved from the inside out. We can’t thank you enough for being a part of that with us. Hang in there with us and together we will get to see the water come…and everything change. We promise you that! If you have questions, or can’t seem to find your project, please contact us here and we’ll help in any way we can.